Like most other festivals, Thanksgiving Day has its own set of symbols attached to it. Go through this informative article to know about those special things that have come to represent Thanksgiving Day, the images of which conjure the glimpses of past Thanksgiving celebrations for us. If you like reading this article on "Thanksgiving Day Symbols", click here and forward this article to all your friends and dear ones. May you have a grand Thanksgiving Day celebration. No Thanksgiving celebration can ever be complete without the turkey, a large domesticated fowl with fan-shaped tail. Owing its name perhaps to the unique "turk, turk" sound it makes, the turkey is hunted and roasted during every annual Thanksgiving celebration and is generally the main course in the Thanksgiving dinner menu. The delicious taste of the roasted turkey is so much enjoyed that the bird has come to be one of the most important symbols of this holiday. It is believed that four roasted turkeys were served during the original Thanksgiving celebration and the turkeys enjoyed now serve as a remembrance of that historic event. But there are no authentic historical proofs to show whether turkeys indeed were a part of the first Thanksgiving feast. Also known as the 'horn of plenty', the Cornucopia is a symbol of nature's productivity and is regarded as one of the greatest symbols of Thanksgiving Day. Traditionally, a cornucopia is a curved container that is filled with fruits and grains upto the brim to symbolise a good harvest. In olden times, a curved horn of a goat was used as cornucopia. According to Roman mythology, the cornucopia was the horn of Achelous, the river god, who impersonated a bull and fought with Hercules only to lose it during the battle. The cornucopia also draws on the famous Greek mythical tale of a goat called Amalthaea whose horn could produce ambrosia and nectar which was the food and drink of the gods. She nursed the god Zeus when he was a baby and later also offered one of her horns to him as a sign of reverence. Zeus expressed his gratitude to Amalthea by setting her image in the sky as a pattern of stars known as the constellation Capricorn. Nowadays, a horn-shaped container or basket is used as the cornucopia and filled to the brim with seasonal flowers and fruits as a sign of good harvest. The corn is one of the most popular Thanksgiving symbols for Americans. Back in the 1620s when the pilgrims desperately tried their hands at farming for their survival, they were provided with great assistance by the native Americans who taught them how to grow corn and help them survive the bitter winter. When the first Thanksgiving feast was held, Naturally, the corn became a part of the first thanksgiving dinner and it is still enjoyed during every Thanksgiving celebrations. It is still placed on every dinner table during annual Thanksgiving festivities around the world. Corn reminds Americans of the history and significance of Thanksgiving and remains America's foundation of 'Modern-Agriculture '. Interestingly, Americans regard corns of blue and white colours to be sacred, perhaps because of they echo the hues of the U.S national flag. 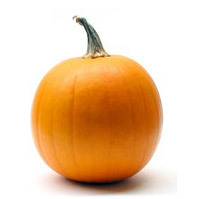 The Pumpkin forms one of the most important ingredients of a Thanksgiving dinner and serves as one of the most important symbols of the harvest festival since the late sixteenth century. While pumpkin leaves are used as salads, pumpkin pies form a dessert in the annual Thanksgiving dinner menu and is a favorite American dish. A special thanksgiving symbol for Americans, beans remind them of the year 1620 when the local natives taught their ancestors, the Plymouth pilgrims, how to grow beans next to cornstalks. It proved useful when they found that the beans could use corstalks as their pole when they grew. 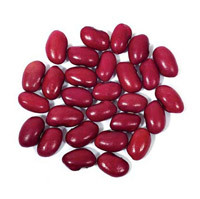 Beans are an inseperable part of modern thanksgiving feasts and are famously known as one of the 'Three sisters'. 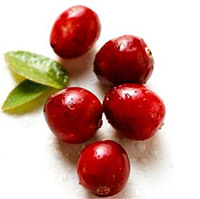 A type of berry, the cranberry was actually known as "crane berry", owing its name to its pink blossoms and drooping head which looked like a crane to the Pilgrims. Crane berries are bitter in taste but the pilgrims managed to make it palatable with maple sugar. It is believed to have been a part of the first Thanksgiving dinner menu and is still served along with the main ingredient turkey during every Thanksgiving feast.